Mike Relm walks the line between performer and director as one of the emerging heroes of the video DJ revolution. Growing up in the Bay area his love of record collecting was a natural lead in to DJing and he soon introduced visuals to his sets. But it wasn’t until the release of the Pioneer DJ DVJ that he began to fuse audio with visual and develop his live set into the spectacular sensory explosion that it is today. Relm’s adoption of new technology has been a driving factor for his success. His Youtube channel, Relmvision, showcases his visual “remixes”, which mimic the fragmented way in which we experience sound and images in the post-internet landscape. It’s opened new doors for Relm, who can count Jon Favreau, Tony Hawk and Google among his fans. Passionate is not strong enough a work to describe Relm’s approach to his craft, and we’re continuously left guessing as to where he’ll take it next. 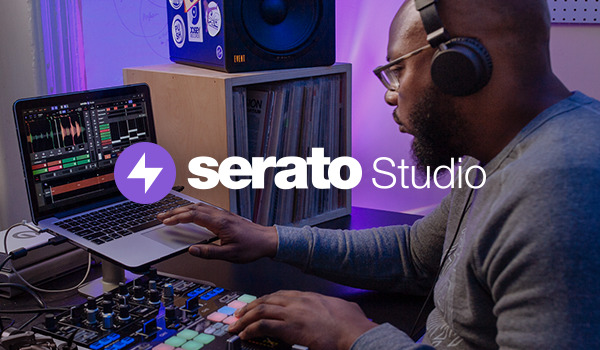 Free to all Serato Video users, Mike Relm has created the world’s first video scratch tool. Designed for turntablists, Gamma Danger vol. 1 has everything you need to take on the world of video scratching. The pack contains an all new scratch sentence and five exclusive beats. The scratch sentence is arranged with on-beat samples, each with distinct visual elements and the instrumentals are ideal for scratching with video that accentuates the sound.